This is where having a personal trainer or running coach comes into play. As a certified personal trainer and running coach, I am trained to help my clients meet THEIR personal, specific goals based on their individual needs and differences. I get to know you and your needs, goals, even limitations and set up a well-structured, individualized plan. Not sure how how many reps to do of an exercise or what order they should be in? What is a superset? How do I know when to add on more mileage to a run or do speed work? A personal trainer will help you navigate the ins and outs of resistance training, setting up workouts for you, and helping you with proper form and technique so that you get the most out of your workouts. A running coach will make sure that you don't increase your miles too rapidly, help you understand when and why to do certain types of speed work, and can help with proper form for more efficient running. A personal trainer or running coach will set up a workout plan that is structured and that is specific to YOU and your individual needs, especially if you have any special circumstances like injury or illness. Hold you accountable: Having a personal trainer or running coach will keep you accountable and also help you learn to stick to a plan. Do you have a goal weight in mind? Where did that number come from? Do you want to lift x amount for a bicep curl or run a mile at x pace? Why? A personal trainer and running coach will help you define your goals, make sure that they are realistic, and then help you achieve those goals. It can be hard to find the motivation to hit the gym or head out for a run. But when you have your own personal cheerleader on your side, it can make things a lot easier. You're hitting the weights or going out for a daily run, but are you just going through the motions? A trainer will provide you with an individualized plan that encourages you to challenge yourself. A proper plan will be challenging in order to help you grow, improve, and achieve your goals. A certified personal trainer or running coach will monitor your progress and make adjustments to your plans as needed to ensure success. Wondering why your weight isn't budging, but your body fat is dropping? Or maybe you're not able to run faster or lift heavier, why? A certified personal trainer can help you find those answers and provide useful feedback. Have a plan but struggle to stick with it? Can't seem to find a consistent routine? A personal trainer or running coach can help you learn to prioritize your fitness and nutrition for a healthier lifestyle. A personal trainer can help you understand your own personal roadblocks and brainstorm ways to overcome them. So, now you're thinking, "That's great Heather, but I can barely afford the inflated gym membership let alone a trainer." I started Where's the Beach Fitness in order to help people realize their fitness goals. And how can people do that if they can't afford a trainer? This is why I offer Online plan options (as well as in-person training sessions if you're local to Little Rock). This means you can get the benefits of a trainer or running coach, without the high cost of in-person sessions. You still get a completely customized plan that includes workouts, nutrition suggestions, feedback, progress tracking, motivation and encouragement, and support but at a fraction of the cost. 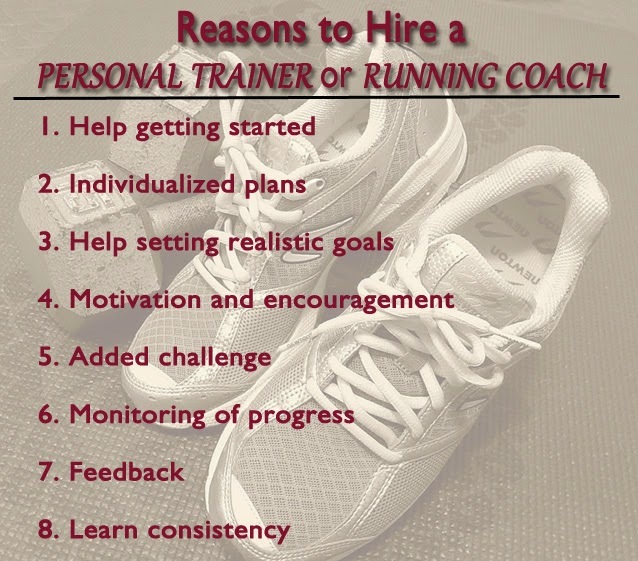 Have you ever hired a personal trainer or running coach or used an online trainer? Do you like to try out free workouts?